Welcome to the first edition of Rosemount House Nursing Home newsletter, we hope to bring you all the latest from the nursing home and keep you up to date with our activities, we may even throw in the odd recipe from our Head Chef, Eamonn. 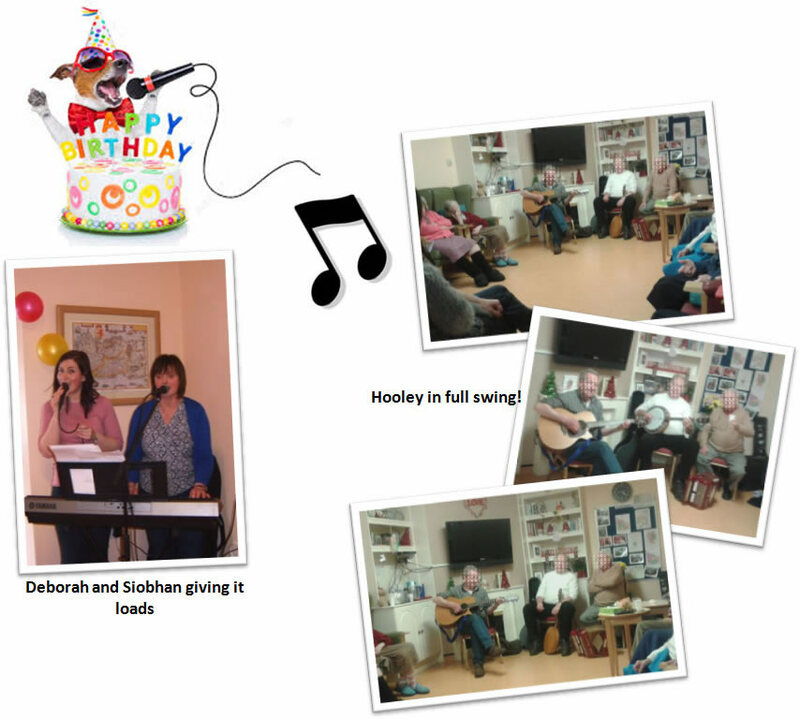 We have had a very busy year so far with lots of interesting things happening throughout the nursing home. This year saw the arrival of our wonderful Animal Assisted Therapy team in the form of Akira & Dakota along with their handler Ethne. Akira & Dakota are therapy dogs who are fully trained and registered with Irish Therapy Dogs. Irish Therapy Dogs is a voluntary charity that provides a pet therapy service to Care Centres. The Visiting Teams offer love, affection, patience and also bring great joy and comfort to the many people they visit. Our residents look forward to the weekly visit and we’re pretty sure the dogs like popping for a visit too especially if there’s a biscuit or two on the go! As many of our residents are from the beautiful County Clare we decided to take a trip around the Coast of Clare. Our residents enjoyed a delicious lunch in Ballyvaughan before heading to Doolin. We finished our trip with a stop off in Lisdoonvarna then home. No trip would be complete without a singalong and our Activities Coordinator Deborah started the ball rolling with a rousing rendition of the Wild Rover. All in all a very enjoyable day out for our residents and accompanying staff. 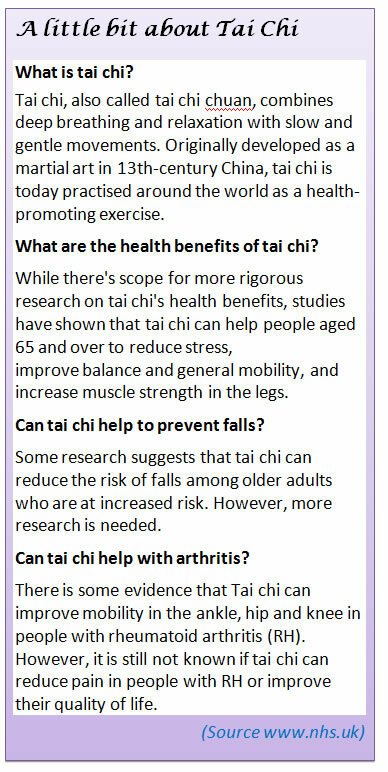 As part of Positive Aging Week we held an introductory Tai Chi class with professional instructor Siobhan,Tai chi is an ancient Chinese tradition that is practiced as a graceful form of exercise. It involves a series of movements performed in a slow, focused manner and accompanied by deep breathing. 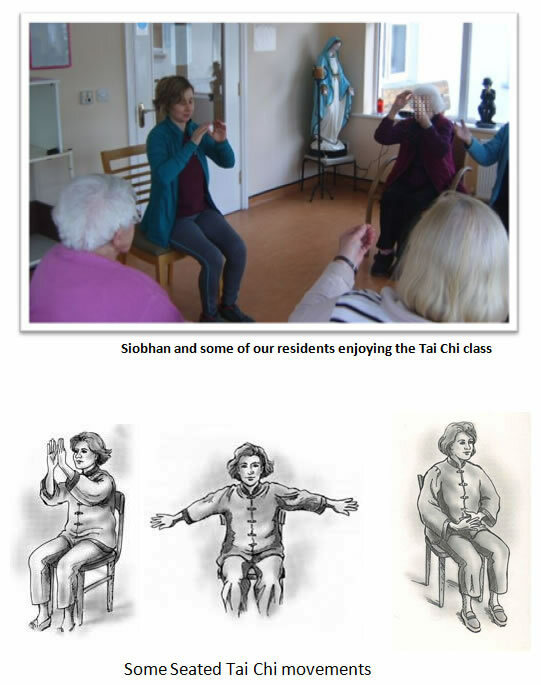 Our residents loved it so much it is now a regular feature on our activities programme with a full turn out every week for Siobhan’s seated Tai Chi class. What better way to pass a rainy day than to watch a movie. Our residents can enjoy a newly released movie and some delicious treats to boot! With such a wide selection to choose from we ensure our residents are kept up to date on all the latest and some good old fashioned classics too. We love a good party at Rosemount and we always celebrate our resident’s birthdays with some delicious cake and of course a bit of ceol agus craic! Music is provided by local musicians with residents and staff joining in. Family and friends are more than welcome to come along - just don’t forget your party piece!